Providing the opportunity for our student athletes to grow in a Christian environment, not only as athletes but as young Christian men and women. St. Luke’s interscholastic sports program complements the total growth of participants while fostering Christian sportsmanship and fellowship. Students in grades 5–8 have the opportunity to be involved in one or more sports. 5th–8th grade students can participate in a variety of different sports, like basketball or soccer, while developing specific sport skills and leadership abilities. Students in 2nd–4th grade have the opportunity to participate in intramural sports, where they are able to learn “FUN”damental skills from popular sports as an interactive extracurricular program. I wanted a place that my daughter felt comfortable at, that had a well rounded curriculum and chances for playing sports or doing arts or music as both of my kids got older. 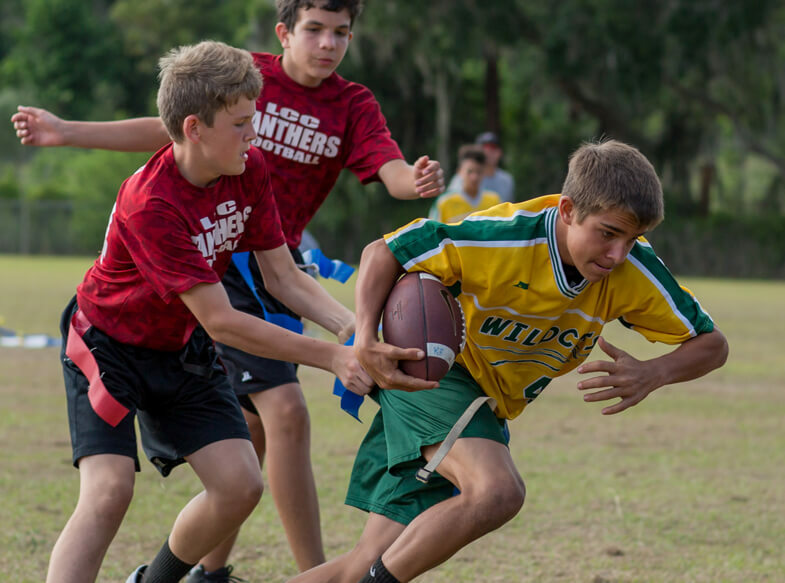 St. Luke’s interscholastic program consistently excels, having won 15 championships in a variety of different leagues including the Central Florida Lutheran Athletic Association, Florida Lutheran Athletic Association, Metro Conference (schools in the Orlando area). We're here to help with this important moment in your child's life.